Yokai Scrolls Development Blog: Matsuri Minigame: Ochimusha Invasion! Talk to the targeting range vender in the Matsuri to play. 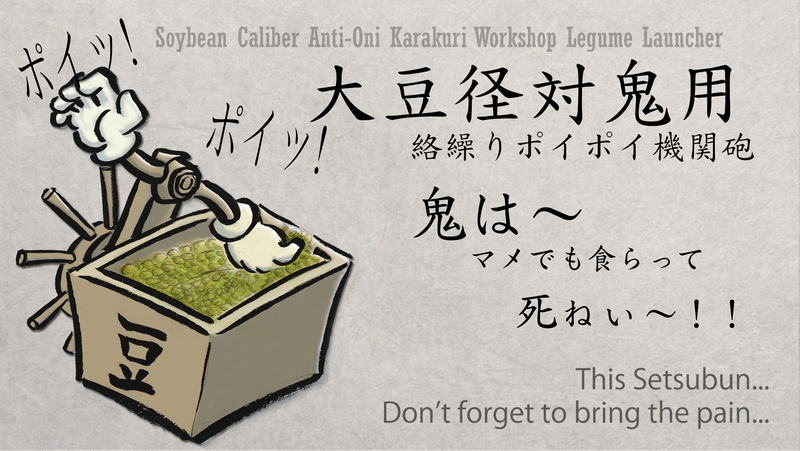 The goal is to use your high powered Legume Launcher to defeat the oncoming hordes of Ochimusha (fallen soldiers) before they can destroy your weapon. Manage to get a high enough score and win your own Legume Launcher to use for when the Ochimusha invade your village in the main Yokai Scrolls game! We'll soon release a version of Yokai Scrolls that will let you browse the Matsuri and play this and many other short and fun gameplay experiments we've been working on. We'll also store your high scores on your (soon to come) yokaiscrolls.com profile so you can track your progress and compare against your friends. Stay tuned to this blog, register at www.yokaiscrolls.com, and like our Facebook page to make sure you're first in line to try it out! Yokai Scrolls is a 3rd person action RPG where you and your party members set off to find mischievious and dangerous Yokai in a Japanese storybook (昔話) inspired world. Locate each of hundereds of Yokai and capture their powers to defeat a mysterious army of undead hordes that work to destroy your village and capture the lunar princess. Explore a large mysterious world full of puzzles and secrets. All the while, you can use this game to learn Japanese! Edutainment..? Game with embedded Edutunities? Philanthrotainment? What the heck is this thing?